OSU added the first of its tryout participants to its roster. 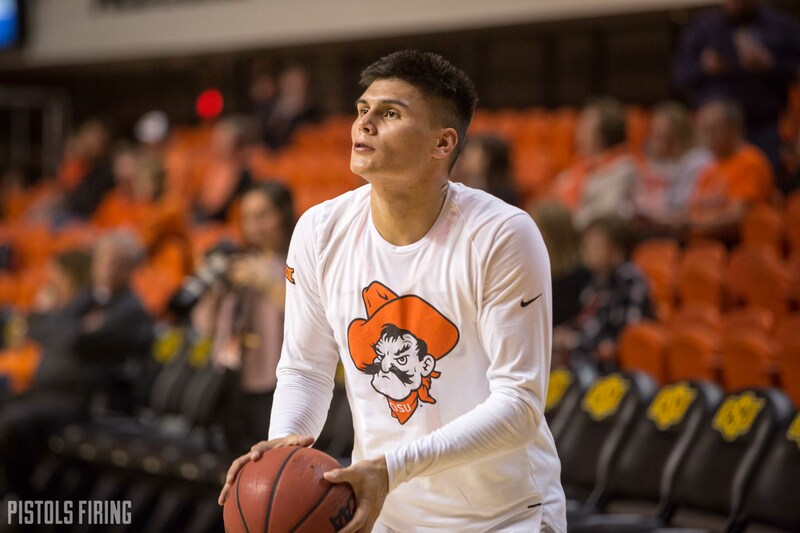 Although he never checked in, Gabe Simpson was on the Oklahoma State bench during the Cowboys’ 75-57 loss against Kansas State on Saturday. Simpson is also a walk-on member of the OSU football team and was listed on the basketball roster as a 6-foot-3, 208-pound guard. Simpson, a freshman from Jay, is the first player from Mike Boynton’s Jan. 17, walk-on tryouts to make the roster. Former manager Tanner Taylor was added to the roster before the Cowboys’ game against South Carolina, but he didn’t participate in the tryouts. There were five other prospective players practicing with the Cowboys on Thursday, but none have made it to the roster. In an injury-free world, Simpson would be the 11th player available to Boynton, but former walk-on Trey Reeves is out for the remainder of the season with a broken right foot. Duncan Demuth is also banged up. He was limited in the Cowboys’ practice Thursday and played only a minute against Kansas State. If Demuth is unable to go Wednesday when the Cowboys travel to TCU, Boynton will have starters Isaac Likekele, Thomas Dziagwa, Lindy Waters, Cameron McGriff and Yor Anei, sixth man Curtis Jones and after that, walk-ons Luke Major, Taylor and now Simpson.